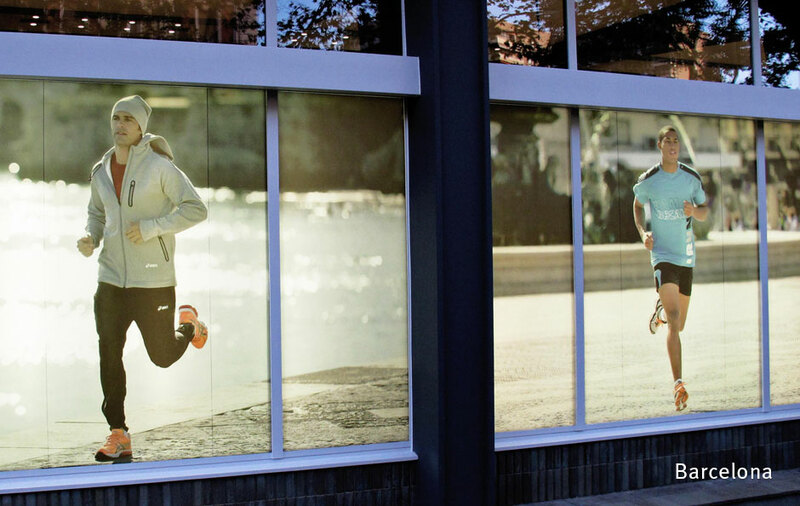 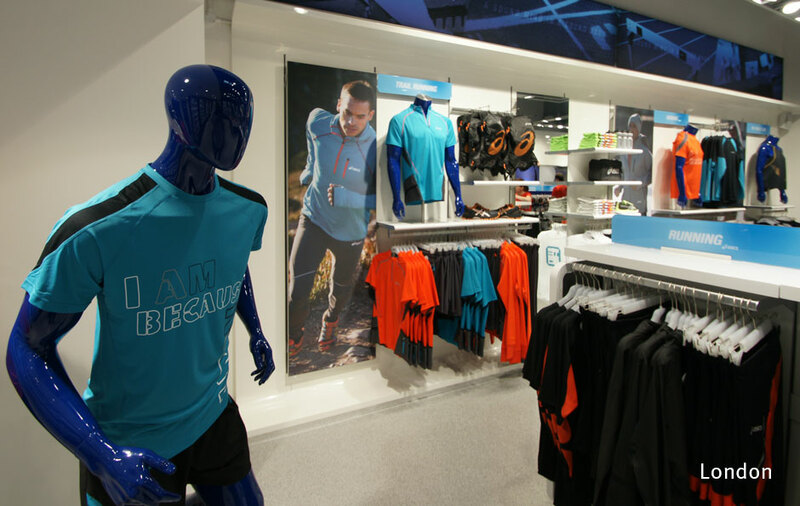 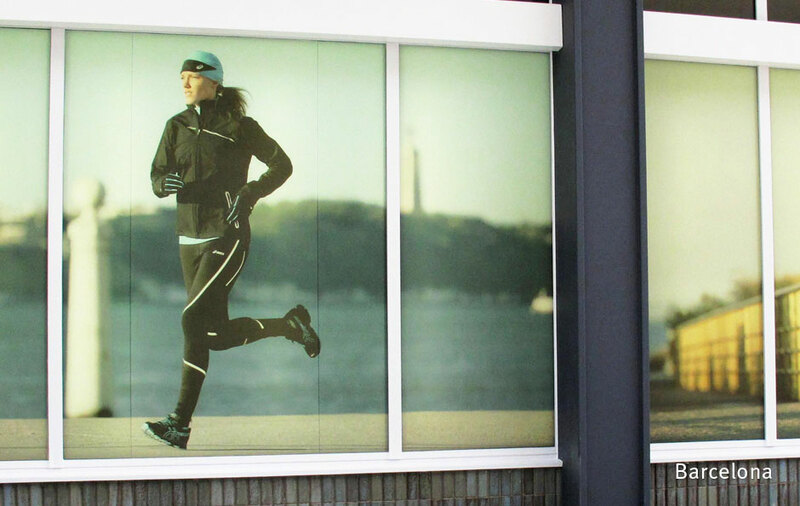 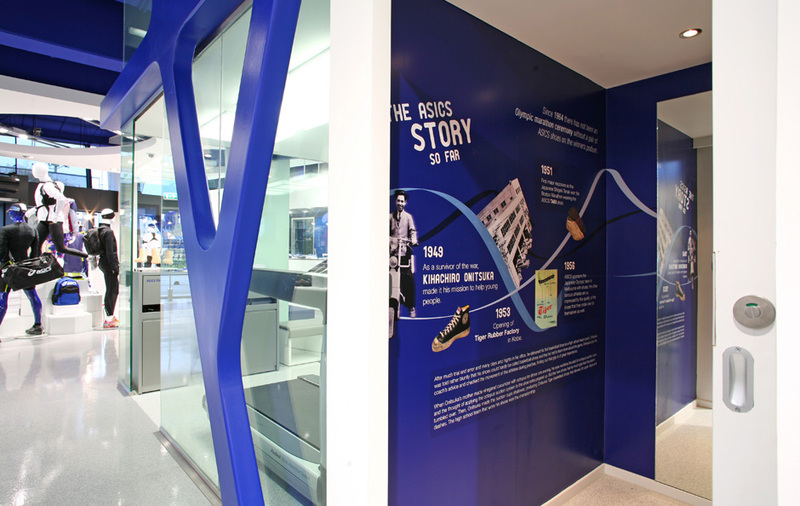 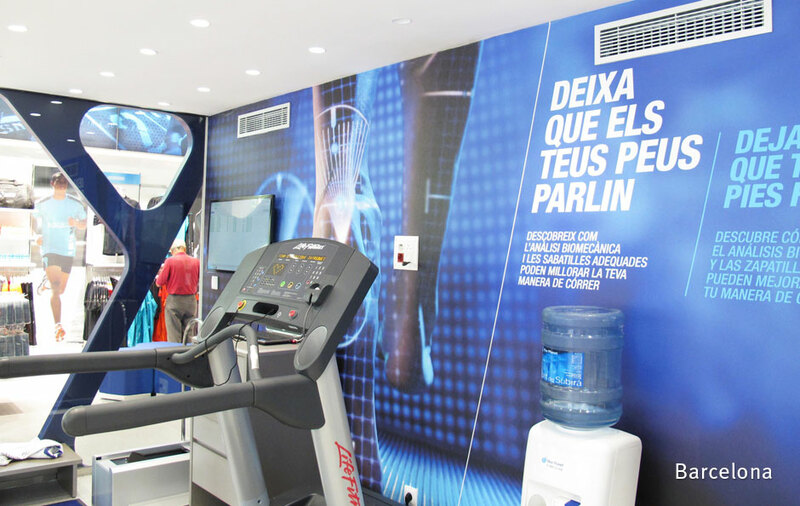 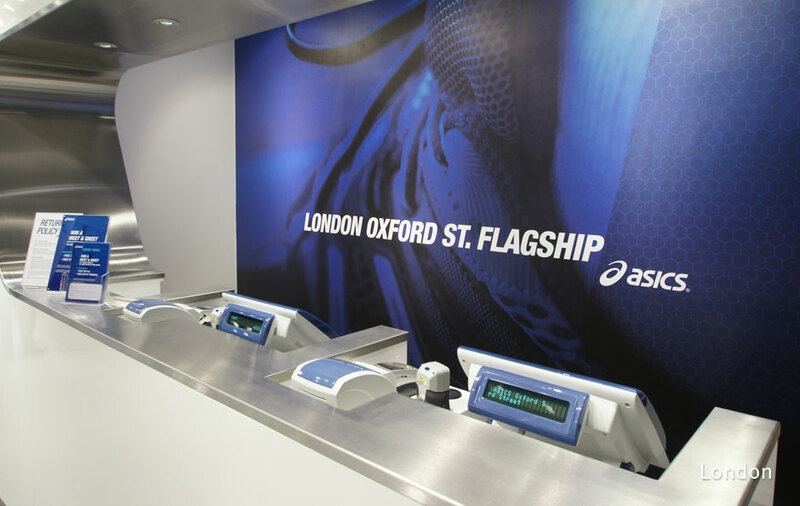 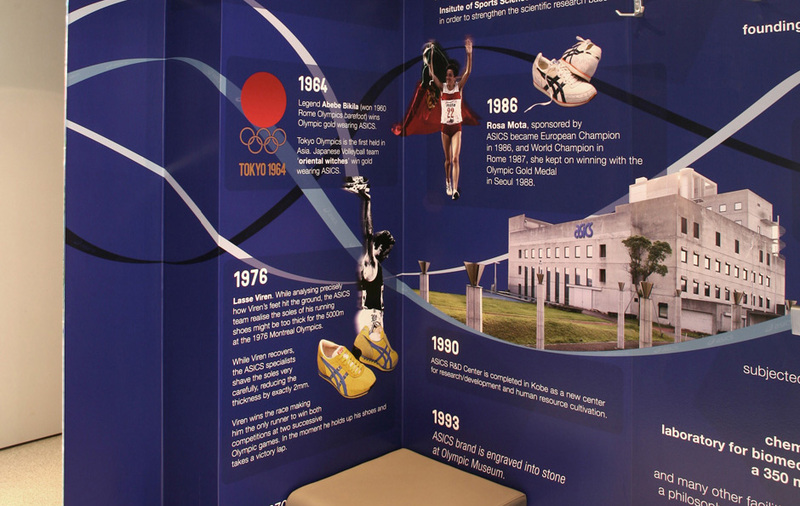 Asics flagship retail outlets based in Amsterdam, London and Barcelona. 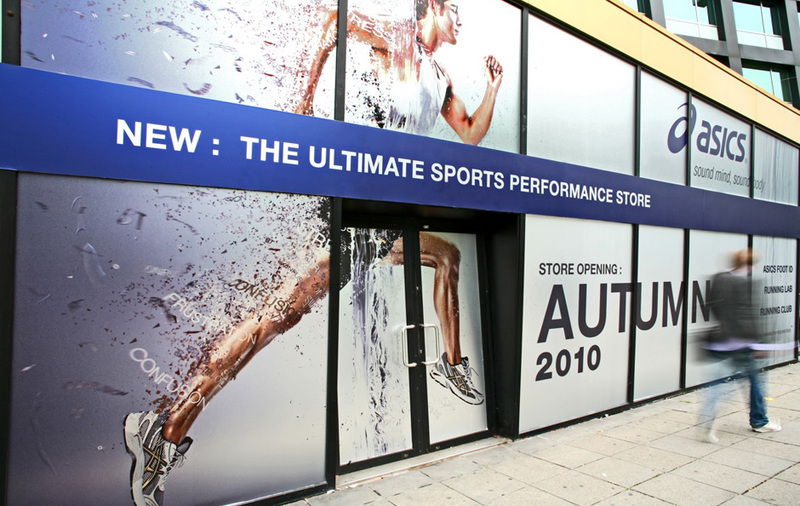 Exterior grade silver hoarding applied to both glazing and metallic fascia in Amsterdam. 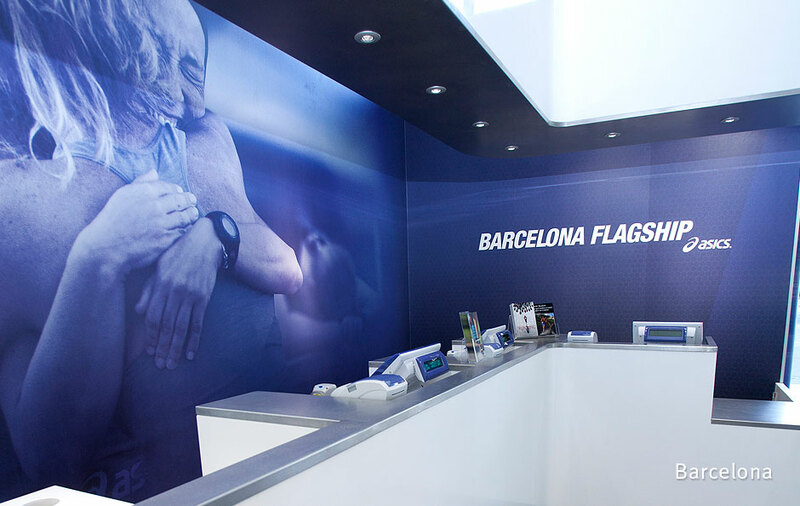 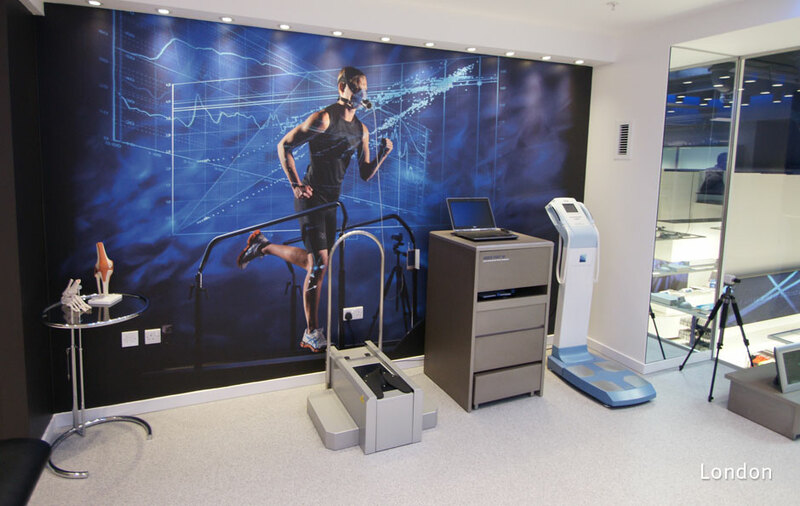 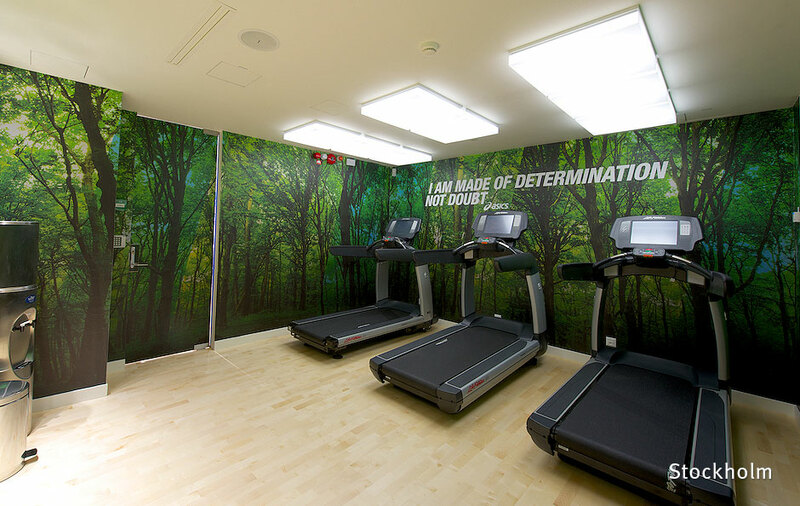 All interior graphics, consisting of matte, silver and suede wallpapers, optically clear vinyls and Wallapeel™. 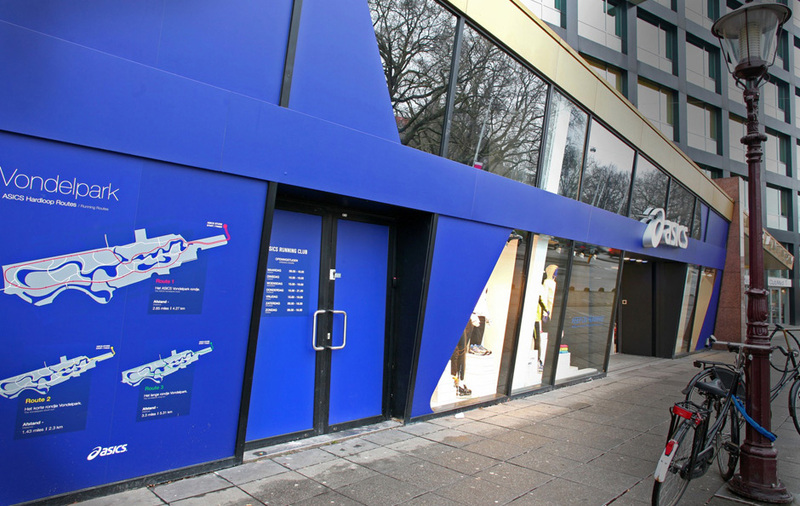 Permanent exterior graphics that are pantone matched blue from both inside and out. 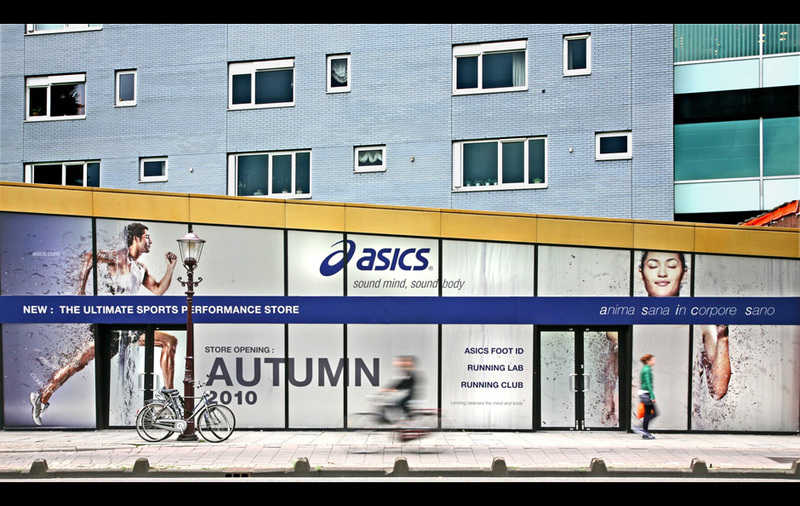 “We don’t see Ltd as just another supplier, we see them as a collaborative partner where they actively add value to the (or our) creative process. 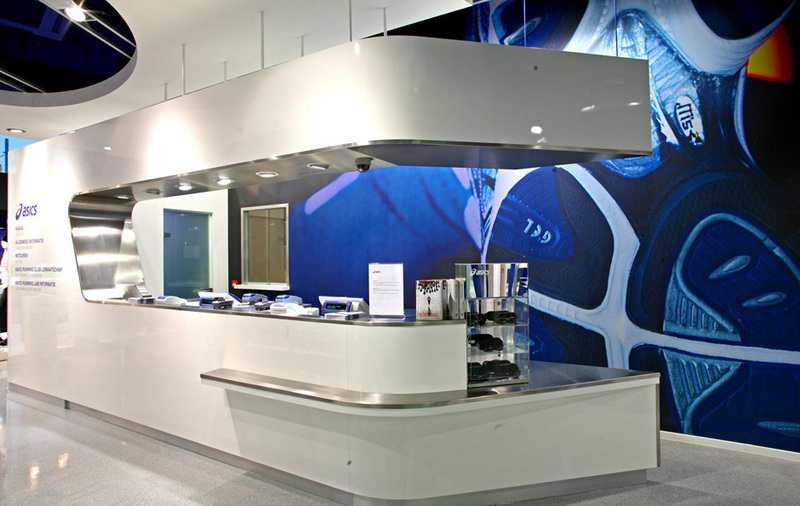 Their attention to detail both in production and installation is second to none and they are a pleasure to work with. 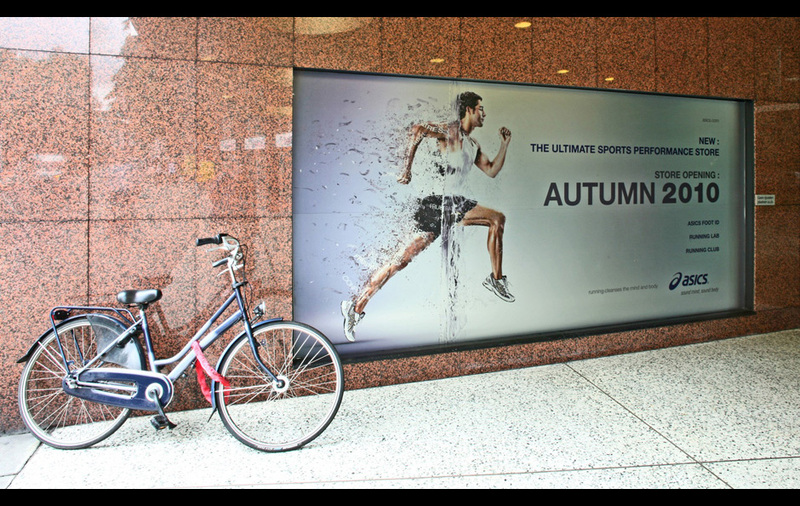 – Jason West, Managing Director, WDC Creative.